(Business Recorder) – Brazilian sugar mills in the center-south region, the world’s leading cane-producing area, crushed 9.6 percent less cane in the second half of March compared to the same period a year earlier, cane industry group Unica said on Tuesday. The new cane season in the center-south officially starts in April, but mills normally begin crushing earlier if there is cane ready for processing. The second half of March serves as a barometer for the market to check how prepared mills and cane fields are in the world’s largest sugar exporter for the new season. Cane crush in the second half of March totaled 7.02 million tonnes, down from 7.77 million tonnes in the same period in 2018. Mills produced 137,000 tonnes of sugar in the period, compared to 166,000 tonnes a year ago. Ethanol production reached 380 million liters, 10.8 percent less than in late March 2018 (see table below). 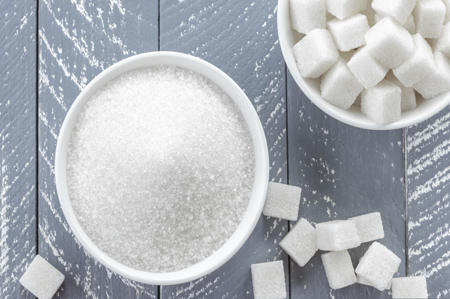 The slower start to the new season could reduce the amount of sugar to be delivered to market, with potential implications for traders’ positions in New York raw sugar futures. March, roughly the same number seen at this time last season. It said rains disrupted operations in some places. The group expects that 176 mills would be crushing in the first half of April. Unica also released final numbers for the 2018/19 crop, confirming earlier estimates of a smaller cane crush, record-low allocation of cane to sugar production and record-high ethanol output (see table below). Mills allocated only 35.2 percent of the center-south cane to sugar production last season, causing output of the sweetener to fall by 26.5 percent or by 9.56 million tonnes compared to 2017/18. They allocated all the remaining cane to ethanol production, as the biofuel was giving them higher revenues. Most analysts expect a new season with almost the same cane crush, but a slightly larger cane allocation to sugar in comparison to what mills will use to make ethanol.